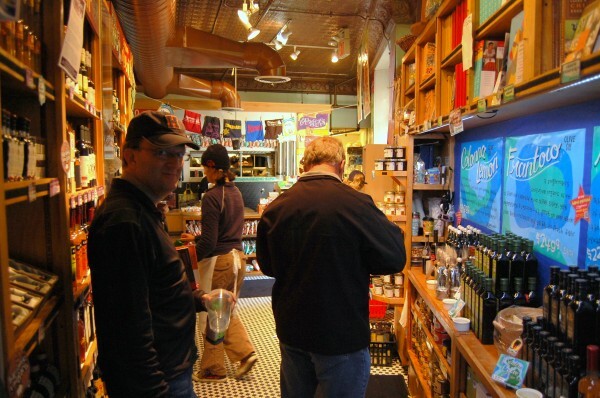 My Boss in the Balsamic Aisle of Zingerman's Deli, Ann Arbor, MI. This is my boss' WTF face. He's about to ask me why the hell there are so many choices of balsamic vinegar. This is shortly after our discussion about why I spent $30 bucks of our client's money for a pound of cheese. My answer? "Well, we have to have something to go along with this $10 loaf of bread and $30 bottle of Cote du Rhone wine." My boss hates taking me on food benchmarking trips. Current Music:Kraftwerk - "Pocket Calculator"